Here is an update on where I am with the Fenris project. First I bought some spacewolf literature that I have been reading up on. I read the first Spacewolf Omnibus and the Battle of the Fang. I have yet to read the 2nd Omnibus. Despite some pretty different perspectives between the two authors I now have a fairly strong idea of what Fenris should look like. I have bought two 2x6 boards made of particle board and some white and blue spray paint. 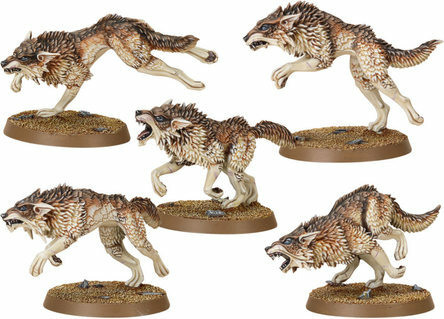 The wolves are easy to find as Games Workshop sells these guys for about 20 bucks.